Commonwealth adds Midwest Financial Group from NPH, Baird adds $1 billion Alaska team and millennials rely on themselves for financial success. Commonwealth Financial Network has recruited Wisconsin-based Midwest Financial Group, a team with $186 million in client assets. The team joins from SII Investments, one of the broker/dealers in the National Planning Holdings network, which was recently acquired by LPL Financial. The team, which includes advisors Mark Miehe, Matt Cuplin, Brandon Masbruch, and Tony Pochowski, provides customized investment management, strategic asset allocation, estate management, tax planning, family wealth and estate planning, retirement planning, and employer-sponsored benefit planning. 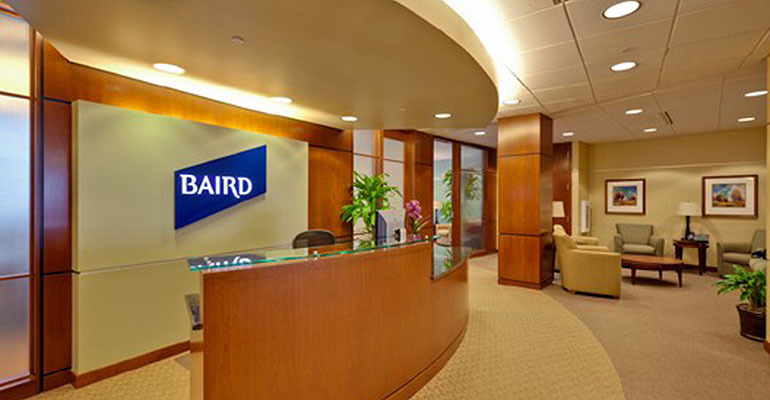 Baird’s Private Wealth Management business recently added a team of advisors in Anchorage, Alaska, who oversee about $1 billion in client assets. The group called The Planning Group of the Northwest includes financial advisors Margaret Price, Sarah Springer and Grant Shearer. They join from Wells Fargo Clearing Services. Each has at least 15 years of experience (Price has 35). They joined a network of about 860 financial advisors in 29 states. Baird's wealth management business oversees client assets of $126 billion. Millennials are more likely to rely on themselves to reach their financial goals, while older generations depend on outside sources, according to a new Merrill Edge report. Sixty-six percent of millennials cited their savings account as the top thing they’ll be able to rely on in 20 years, beating out their significant other and friends. Most Generation Xers (71 percent) say they’ll be able to depend on their 401(k), while baby boomers reported pensions (54 percent) and Social Security (50 percent). Millennials are also willing to make day-to-day sacrifices to save more money, including saving more than half of their paycheck (38 percent), cutting back on going out (54 percent) and foregoing vacation for a year (42 percent).